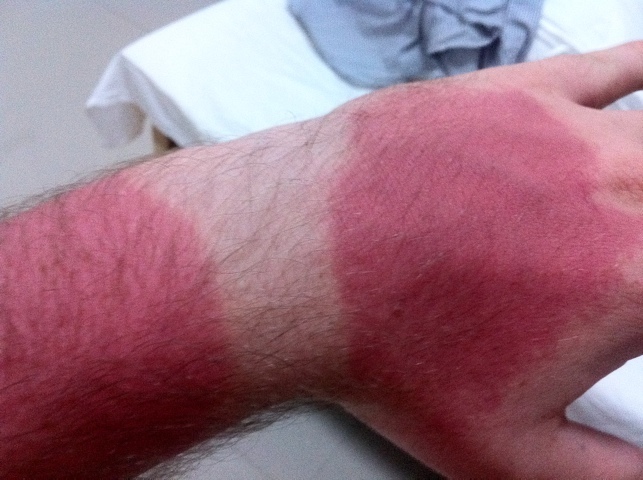 The dangers of ultraviolet radiation from the sun. A day out cycling in the sun of Dali, Yunnan with minimal suncream. Note my “normal” skin colour where my watch strap was and the effect the sun has had on the rest of my arm. I mistake I will not make again. Please don’t try this at home or on holiday. Find out how the cells from one woman (without her or her families knowledge) were used as building blocks for numerous scientific breakthroughs. If you would like to read the book, you can borrow it from me.